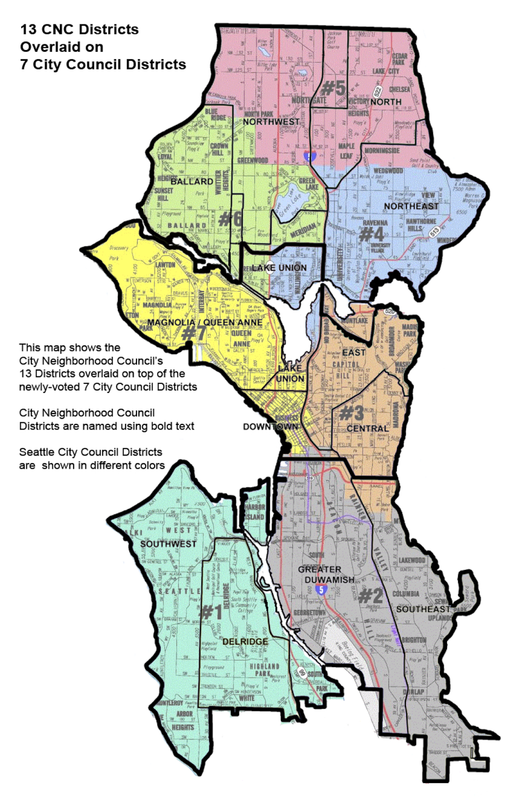 As the letter and map from the City Neighborhood Council indicate, our city is busy trying to integrate the newly mandated City Council boundaries into its assorted ways of slicing and dicing us into bite-sized pieces. 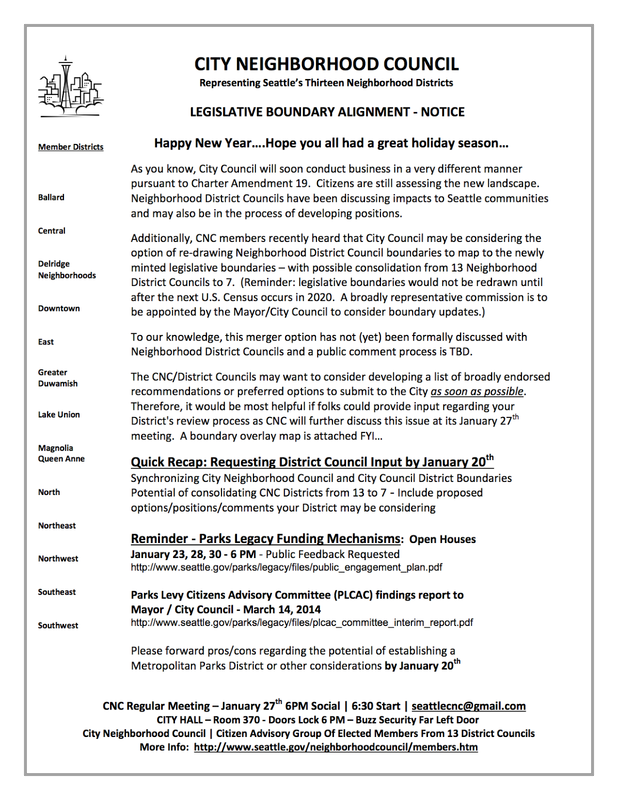 At the January 13th East District Council meeting (6PM at the Capitol Hill library), we will discuss these boundary issues. I (Andrew Taylor) will not be able to attend the January 27th CNC meeting. Do we have a volunteer to attend and present our opinions? The CNC/District Councils may want to consider developing a list of broadly endorsed recommendations or preferred options to submit to the City as soon as possible. Therefore, it would be most helpful if folks could provide input regarding your District's review process as CNC will further discuss this issue at its January 27th meeting.